There is a renewed youthfulness and vibrancy in consecrated religious life today. The signs are all around us. 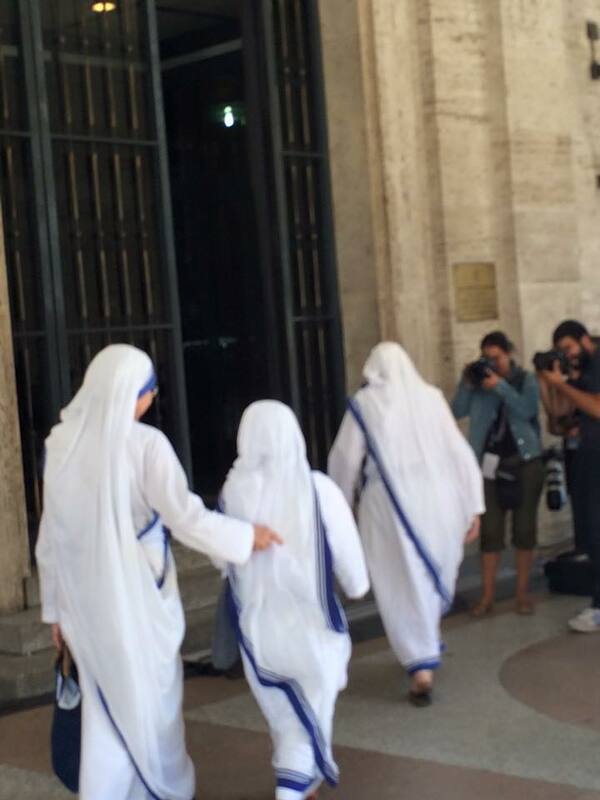 At the recent Mass of Canonization for Saint Mother Teresa, there was a sea of young faces in the many Missionaries of Charity assembled in Saint Peter’s Square. Likewise, those attending World Youth Day this summer were joined by many religious sisters and brothers of their generation, as there are at all of these international gatherings. In our corner of the world, thousands of young novices and postulants for religious life from around the country came to spend some time with Pope Francis, the Successor of Peter, when he visited last year. Whenever I look around and see all these young consecrated women and men who serve others in diverse ministries, I am always heartened in my realization that they are the future of the Church. It is one of the blessings of my ministry to work with our sisters and brothers in consecrated life since they speak with such happiness of the life they have found in Christ. Earlier today, on this feast of the Exaltation of the Holy Cross, I was similarly blessed and honored to celebrate Mass where five sisters of the Servants of the Lord and the Virgin of Matará religious community made their perpetual vows. What characterizes these young newly-professed brides of Christ, or any of their sisters in this order, is immense joy and love. They radiate with enthusiasm and vitality. And thanks be to God, they are not alone – they are only a representative sample of the vibrancy and renewal being seen in many other religious communities. On the flight home, the Holy Father further remarked, “People in the United States love the sisters.” He is right. Many of us in older generations remember growing up with “the nuns” (and religious brothers) playing a significant role in our lives. They taught us, cared for us, prayed for us, nurtured us and helped prepare us for adulthood and to figure out what God had planned for us in our lives. Many children who grew up in later years, however, missed out on that wonderful experience when, in the wake of social change beginning in the 1960s and 70s, there was a decline in religious vocations. Then with youths having fewer examples of the beauty of consecrated life, fewer entered into it. In wintertime, it seems that the field is desolate and bereft of life. But now we are seeing a new springtime for consecrated religious, with new sprouts beginning to emerge. As they grow and bear fruit, they are providing the seeds for more sprouts and growth. Seeing their contemporaries in religious life, more young people today can envision themselves as a religious sister (or brother) and are actively considering and entering this life consecrated to the Lord, whereas before, the idea would have never even occurred to them. A religious community is not simply an association of people like some secular society. The religious vocation is primarily a call to generosity of spirit, and these orders share in the life and mission of the Church as they help weave into the fabric of our society the threads of an encounter with Jesus Christ and his transformative love. This is indispensable in our culture today which can leave people empty and impoverished. And as we see in other areas of the Church, young people are attracted to a strong Catholic identity that is confidently and enthusiastically lived. As you come to better know our consecrated sisters and brothers and the vibrant lives they lead, maybe you too might be called. If you would like to learn more and perhaps participate in a discernment meeting or retreat, or maybe even visit acongregation – there are nearly 70 communities of women religious and more than 40 men’s communities present in the Archdiocese of Washington – please contact Sister Gilmary Kay, RSM, in our archdiocesan Office for Consecrated Life at this linkand she will be delighted to talk with you.